RIOT! 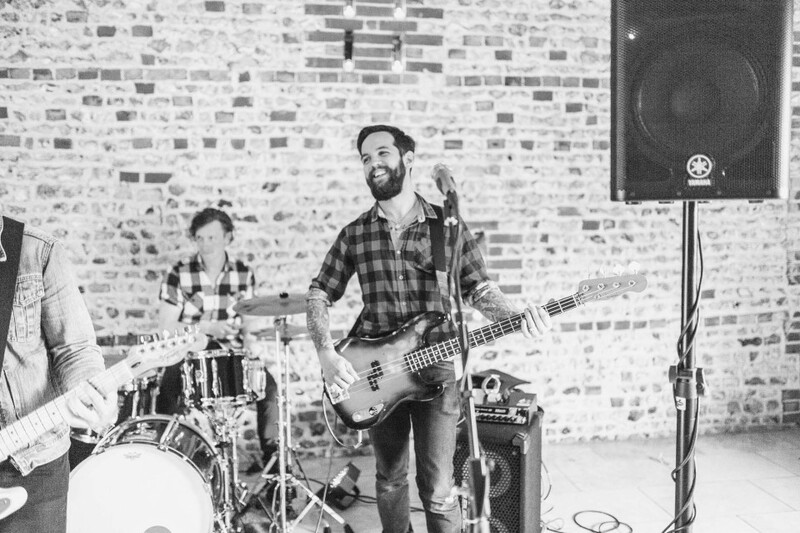 are an Indie Rock Cover Band based in Sussex and available for Weddings & Functions UK Wide. RIOT! are the musicians choice when it comes to live music. 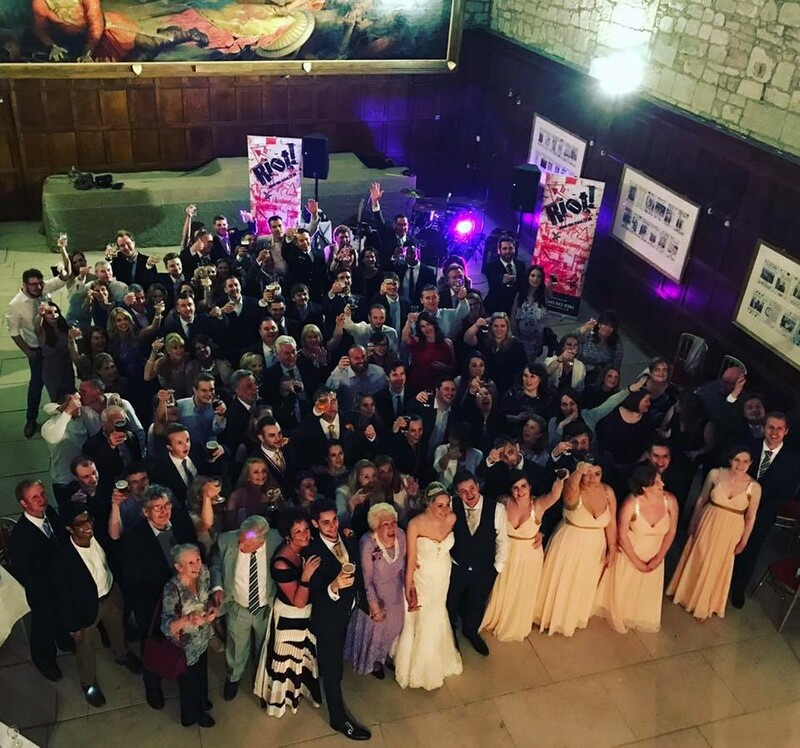 Yes, even musicians get married and have parties... and, when they do they book RIOT! 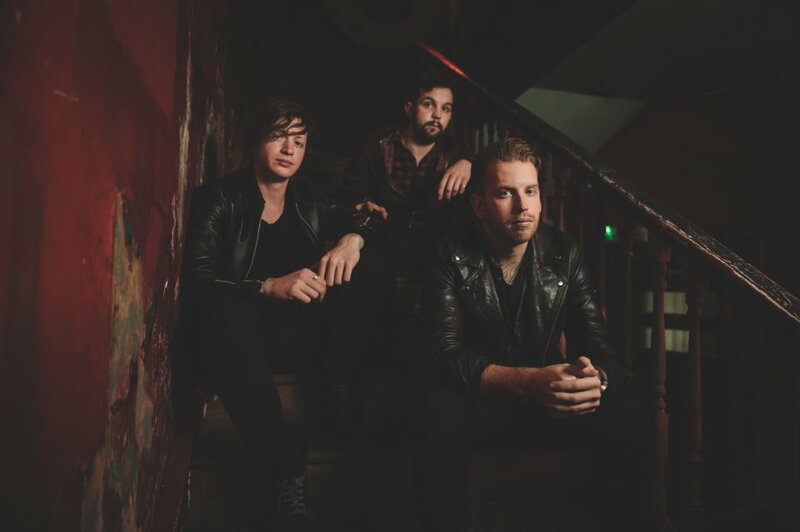 So, if you are a BIG fan of live bands and the passion and excitement of gigs then you really need to check out this charismatic and energetic power trio. The phrase 'function band' or 'wedding band' can strike fear into many people as images of a wailing female vocalist and a guitarist wearing a piano keys tie spring to mind. But, with RIOT! you would have nothing but the coolest pop and rock classics delivered by 3 of the UK's most talented and well-respected musicians. RIOT! will get any party started. RIOT! are a super experienced and highly professional band who are committed to making your night one to remember. Whatever the event, you can count on them to provide a performance which includes something for everyone. Whether you love Kings of Leon & The Killers or you’re more of a Beatles and Stones lover then RIOT! are the band for you. Disclaimer: This band is highly addictive. If, after 2 weeks, symptoms of random dancing and excitement don’t pass, please consult your GP. Jet – Are You Gunna Be My Girl? Lenny Kravitz – Are You Gunna Go My Way? Number of Reviews and Counting... 187! In addition, RIOT! provide a DJ option when they are not performing. The band were great! Really made the evening a time to remember, playing great songs and really recognising the mood of the guests with their selections. Our venue had a noise limiter too but we didn’t have any issues. Would highly recommend! A perfect evening to the perfect day. Fantastic group of lads, excellent music. Will definitely be hiring again. We were probably one of the quietest events they played but Riot! were bloody brilliant. They arrived in plenty of time, set up and ready to go after dinner so it was all effortless. Sound and songs were spot on for us so they were a great addition to our evening. I'll happily recommend Riot! to anyone needing a great event band. Riot were great. They were very professional and played a great selection perfectly. I would highly recommend them. WOW... Riot! were absolutely amazing at our wedding!! I had family on the dance floor that I’ve never seen dance in my life! Thank you to the boys for making our day perfect and giving it an end to remember! You sounded absolutely amazing! Everything from start to finish was perfect, the booking and correspondence was perfect. The band were amazing and everybody loved it. They were really nice guys and really made the night, money well spent and I can’t thank you enough!! The service by Warble was slick & professional. The band RIOT! surpassed our expectations; such talented musicians who kept our guests busting big moves all night! Thank you all so much, Lee & Ben. I was happy with the straightforward booking process, I was given all of the information I needed and any queries I had were responded to very quickly. The band were fantastic, we requested a first dance song - Indian Summer by The Stereophonics - which was played live and it was great! Lots of our guests commented on how great the band were and we were thrilled with them. A fantastic band. Lots of our guests said how great the band was. Really professional, well organised. Good communication. They even did an incredible request song when put on the spot. Fantastic for a wedding. I would highly recommend them. The band were amazing, had everyone dancing and singing along. They were even kind enough to let one of our friends join them for a song. Very professional and would recommend to anyone looking for a band for any occasion. Thank you for helping make our wedding so incredible! RIOT! 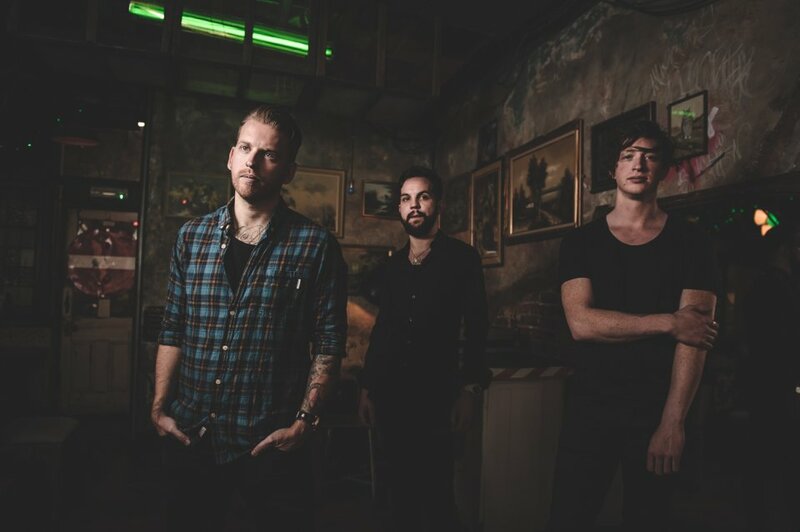 - Amazing band, exceeded expectations. Have their own unique style and got the party going immediately. Brilliant! Riot were absolutely fantastic at our wedding last night! They had so many people up dancing and everyone commented on how great they were. For me, they were the best part of our wedding! Ryan and the boys were also friendly and I really appreciated Ryan coming to find me beforehand to check that I was still happy with the planned first dance and set timings. Thank you so much to the band - we couldn’t be happier. The boys were amazing, everybody said so. I managed to have a nice chat with them between sets and what lovely guys!!! So polite, thanks!!! 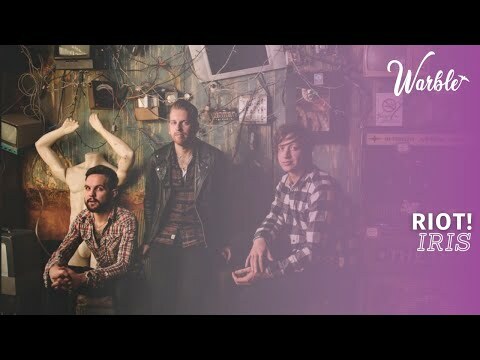 Ryan and the guys at RIOT! We’re absolutely fantastic. They are exceptional musicians. They were relaxed yet professional and well organised during the booking and communications. Our guests loved every minute of their two sets and we finished up with everyone there arm in arm. I’d thoroughly recommend them to anyone. The band were even better than we were expecting - they had a full dance floor all night and we've had loads of people commenting how good they were. Would highly reccommend! Absolutely incredible guys! So many great comments from the guests, the dance floor was full all night. RIOT! were incredible! We wanted a band that would play some great rock and roll for us and they more than delivered. 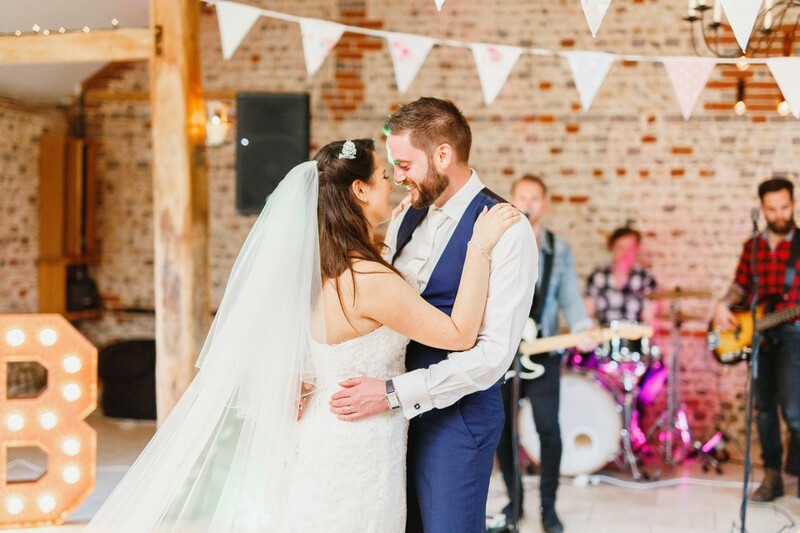 During both of their sets at our wedding the dance floor was full and we have had loads of great feedback from our guests on how fantastic the band was - you had to remember it was live music because they were that good! We loved their Foo Fighters covers (did them justice unlike some other bands we have heard) and played a huge mix of music that had people dancing all night! Thank you again RIOT! - You smashed it! First class. We were really nervous about hiring a band we hadn't seen before but needn't have been, these guys were top draw and had the dance floor packed all night. They played a great range of music (plenty for all tastes) and were pretty much note perfect all night. They were consummate pro's - turned up in plenty of time and smashed out an amazing set without a hitch. I was a bit dubious that these guys almost had too many 5 star reviews that it looked a bit suspect, but now I know why - they ARE that good. 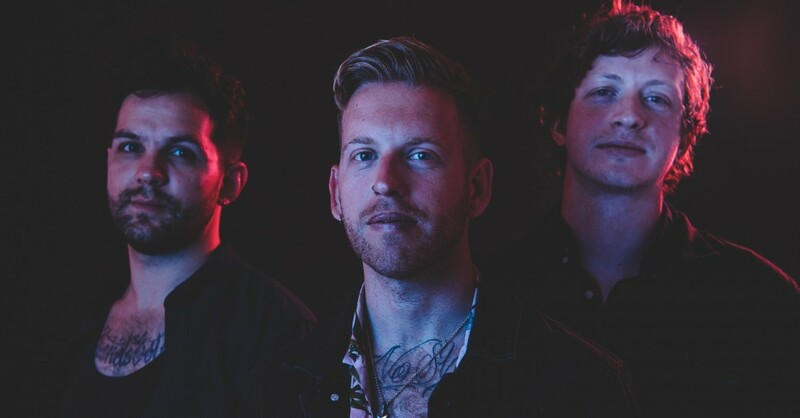 If you are like us and not sure if you were doing the right thing in hiring a band you had not heard before, just bite the bullet and hire RIOT, you wont regret it, weeks after the wedding still everyone is asking us how we managed to get such an awesome band. Great sounding band, all our guests complemented how good they were. Comms were good before hand and, on the day, they turned up on time and set up quickly and neatly. The dance floor was full and what a great atmosphere!! All 3 band members were very friendly and approachable.Their version of our first dance was amazing even though it is not something they have in their set list. We cannot fault them as they were just amazing and all of our guests agreed, many asking about where we found them etc. Every song was just perfect and they truly created a great atmosphere.The booking process was also simple and communication was great. The band were great! Good energy and arrived timely. Also, they were relaxed and had fun with us, would definitely recommend. Everyone commented on how good they were. We had Riot! play at our wedding and can honestly say they made the evening for everyone! Not only did they play an amazing set list, they played brilliantly! Our first dance was magical and we couldn't recommend them highly enough. Don't doubt it, book them! We danced for hours... they are very good. Thanks! The band were a class act, very professional and got everyone up and dancing. Loved the playlist, wouldn't hesitate to recommend them. Riot! Just incredible - they delivered an outstanding performance - everyone commented how good they were and they played hit after hit. 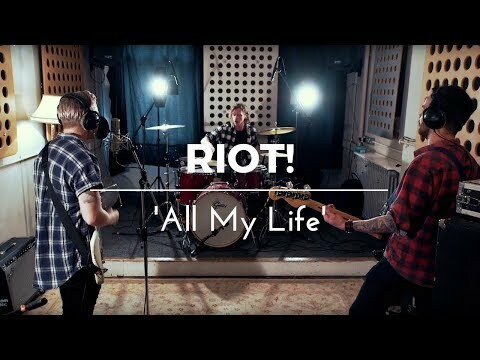 Music is a huge thing for us as a couple and we spent many hours searching for bands and eventually found Riot! through word of mouth (and then on Warble). One of the best decisions we made for our wedding and it was an absolute honour having them there. We hired RIOT! to play at our wedding and we're so glad that we did, they didn't disappoint! The quality was great and they sounded fantastic. We had great feedback from our guests too. I would highly recommend RIOT! Thank you! The band were great, really friendly and got everybody up dancing. All our guests commented on how fantastic they were and how great they played. We are so glad we had them for our wedding, they made the night. I just wanted to say a massive massive thank you to RIOT! from both of us (and everyone at the wedding) for making it such an amazing and memorable night. The quality of the music really was brilliant from the acoustic first dance to the last song (and the encore). Someone said to me after the day that they have never been to a wedding where everyone was chanting "one more song... one more song!". Massive thanks to Ryan and the band who were all brill. We will definitely recommend RIOT! to anyone and they were our kind of music! Kind Regards, Chris & Rachael. People told us before booking that we should see a wedding band live before booking. This is difficult as short of wedding crashing somewhere they're playing, there's no easy way to do this. So in the end we went on reviews and listening to a few songs but none of these actually did the guys justice! The music was fantastic, the guys were all really nice and seemed to be enjoying themselves and the dance floor was full throughout their sets which I think speaks volumes as well (they even threw in some Rage Against the Machine that I requested). I cannot recommend them enough, if you book this band you will not be disappointed. The band were on time, very efficient setting up, extremely professional and the music was amazing! The dance floor was full all night! Riot were brilliant from start to finish. They were super understanding when we were running late, they let my husband's uncle sing with them for two songs and the quality of their music was super. Numerous people commented on this afterwards. They had the dance floor full from start to finish! Would recommend the band very highly! RIOT! did such a great job at our wedding. Everyone has told us how fab they were! RIOT! were amazingly good and had everybody on the dance floor all night. There wasn't a moment when the dance floor wasn't full. We have had so many fantastic comments about the band. We heard the guys at a wedding ourselves and knew you would be amazing and you didn't disappoint. Thank you for helping making our wedding reception so memorable. Fiona and Richard. The boys were very friendly and polite as well as chatty and smiley. The music was amazing and exceeded expectations. The first dance song they learnt was perfect and everyone loved them. Please thank them for a great show. RIOT! were amazing. They learnt the music and lyrics for our first dance and it sounded amazing, unique and beautiful. The original is quite cheesy but they made it sound cool, so talented. All of our friendly and friends loved them and many of them are interested in booking them for their future events. The guys were lovely and so talented, glad we booked them! Such a good band! I've played in many bands myself and was so impressed with Riot. They were a huge hit with everyone and were perfect for our wedding. Highly recommend! Everyone loved them and the dance floor was absolutely packed for both of their sets. RIOT! were punctual, setting up in good time for the music to begin. 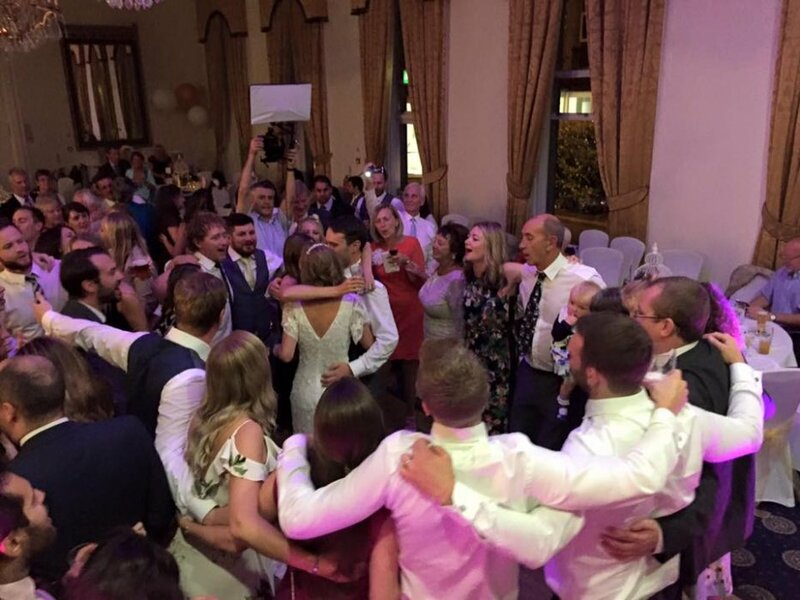 They created a great atmosphere and delivered exactly what we needed to have a brilliant party at our wedding reception. They are a very talented band and had everybody up singing and dancing. If they are within your budget I would highly recommend them. It was the best night of our lives and it wouldn't have been the same without RIOT! 's rock 'n' roll show! The guys from Riot! were a great addition to the wedding and blended into the evening like long lost cousins! They didn't push the schedule and went with the flow of the evening making it a stress free one. The music choice and quality was great - everyone enjoyed them and they even let one of the guests sing duet on a few numbers! Set up and tear down was done in such a professional manor that they just seemed to appear and disappear while leaving everyone with smiles on their faces. I didn't get to say thank you on the day, but thanks for supplying the entertainment on the day - great band, great music and repertoire and we would book them again in a heart beat! It couldn't have been easier for us to book Riot! through Warble Entertainment, the website is easy to use and has all the info you need when searching through a large database of entertainment artists. Once we enquired Annaliza became our main contact and was so kind and helpful throughout the whole process. I've already recommended Warble to a bride to be who is looking for a band. Riot! absolutely surpassed our expectations, all our friends are still raving about how amazing they were, I genuinely think they are the best event band we've ever seen. 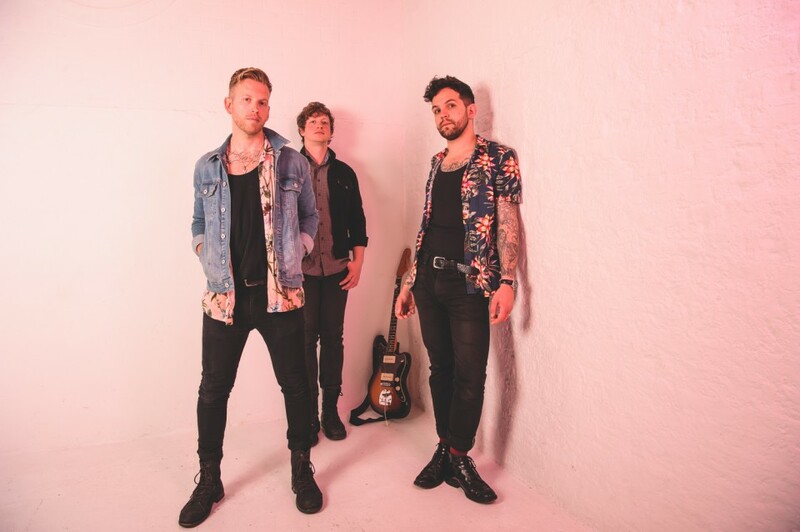 The guys were super lovely, punctual and not to mention extremely talented - they even catered to our slightly heavier music tastes which went down a storm with our guests. 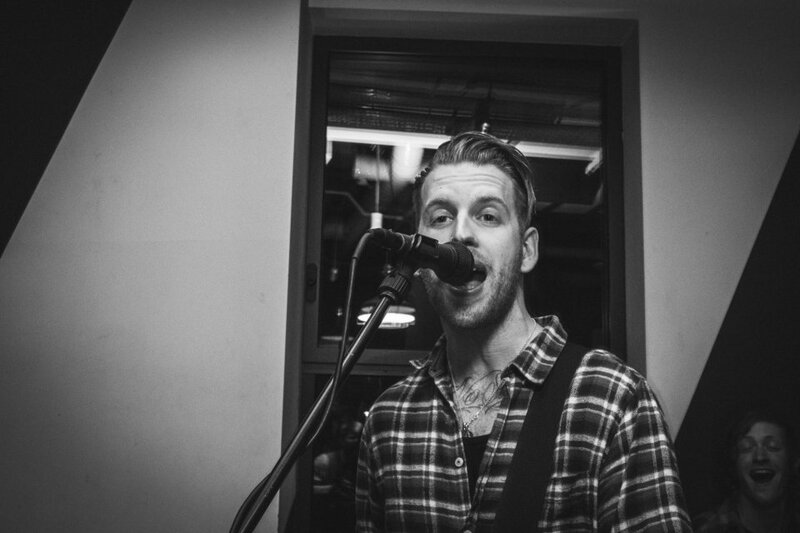 I honestly can't sing their praises highly enough, we will be recommending them to everyone! Absolutely great band. Very talented musicians who played some fab tunes!! Highly recommended! Great band! The dance floor was full all night. Everyone loved the music and there was a great mix of songs. The DJ playlist between sets also worked really well. You were awesome at my 21st, so much fun to be around, you fitted in with the party perfectly and everyone thought you were brilliant. You'd have no idea to listen to that there were only three of you - the sound was huge - which was good because people could hardly see you most the night because the dance floor was packed. Thank you so much for making it an incredible party! RIOT! were absolutely brilliant, I cannot rate them highly enough. Our guests really enjoyed their sets, and the dance floor was filled all night - what more could we ask for! Thanks again. Without doubt the best band that we have seen outside of an actual concert. They were superb and we would not hesitate to recommend them. We have received many comments about them from our guests since the wedding day - all saying that they are the best wedding band they have ever seen. 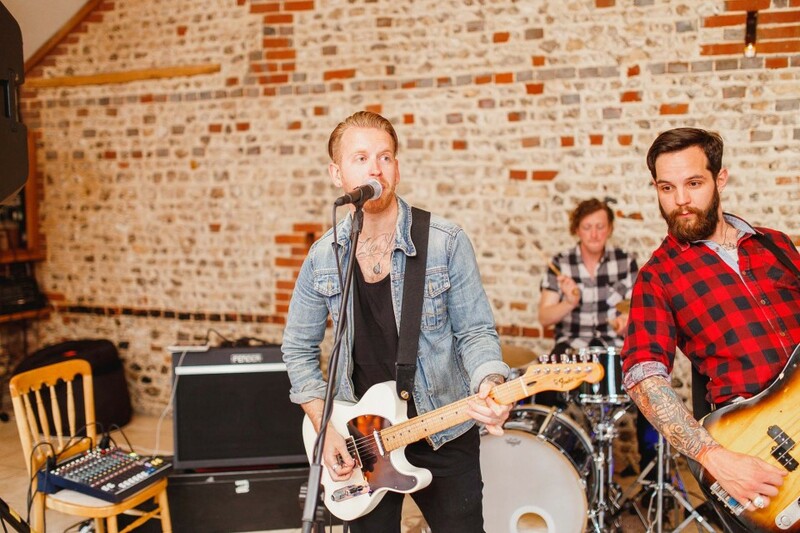 It is worth noting that we saw another band on our shortlist at another wedding last year too. Whilst similar sounding on their website, they were nowhere near as good as RIOT! - and that was even with a substitute bassist! Book these guys. You will not regret it. 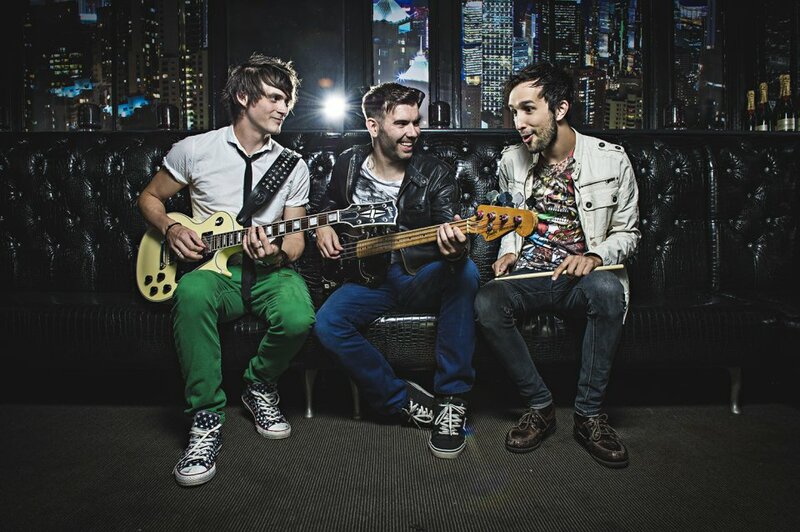 Amazing, amazing, amazing are simply the words to describe these 3 guys. It was an epic night and the guys were a huge success. On time, quick to set up and an outstanding performance. Thank you so much for making the night amazing, we will for sure rock out with you again. What a great band!! We are so pleased that we found this band for our wedding. We wanted a band that would play the music we love and not be a cheesy wedding band. We had so many comments throughout the evening and after about how great the music was. Members of my family who have never been seen on a dance floor were dancing away all night. The whole process of finding them right through Warble was really easy. Matt was excellent at helping me pick what sort of band we were really looking for. It was such a relief when we got RIOT! booked in on our date. We cant recommend them enough! Thank you again. RIOT! were absolutely fantastic. On the day, due to poor weather we were running a bit late, but they set up, were playing and had people on the dance floor in no time at all. The first dance was beautiful and their entire set was exactly what we wanted. We thoroughly recommend them! Great band, very friendly and professional. Excellent! Great finale with A RATM song! The band was just amazing! They were fantastic throughout the entire evening, even though it had taken them 4 hours battling traffic to get to us. They got everyone up dancing and were all round amazing entertainers. They were polite and well mannered, and worked incredibly well alongside our DJ that we also had for the evening. We wouldn't hesitate in recommending them and are trying desperately to think of another function that we can host, just so that we can hire them again! Fantastic band. Punctual, polite and amazing. Played all the music we wanted to hear and kept the dance floor full all night. Would highly recommend them and would book them again for any other social events I have. The best band! 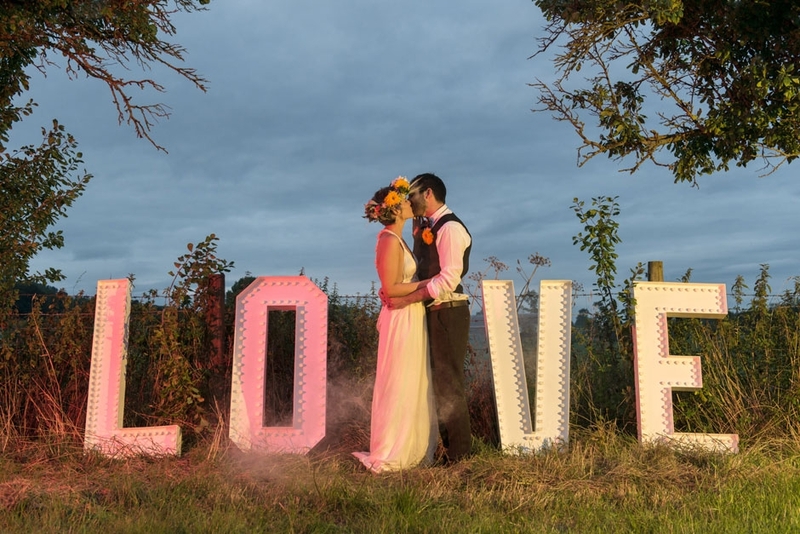 We loved Riot and will recommend to all of our friends who are getting married soon! Friendly, very professional and SO many of our guests commented on how briliant they were. For me the band was an important part of our day and Riot were absolutely amazing. Thank you so much! Fantastic band! Had everyone up on their feet from beginning to end, would highly recommend them! Excellent 2 x 1hr sets, really got the guests on the dance floor all night. Well worth the money and would book these guys again. Riot's set at our wedding was absolutely superb. The guys were brilliant. Great musicians, really professional and genuinely nice guys. We have received so many comments from so many of the guests about how great they thought Riot were. The band played a great mix of songs which was just spot on for the occasion and they really filled the dance floor. We also requested a particular first dance song, which they happily prepared and adapted to their style - it was perfect and a very special moment my wife and I will never forget. I cannot recommend them enough! Thanks guys! The band were brilliant - yet again. We were one of the first to leave feedback when they played for us 4 years ago. Ryan and the band are easy to deal with, very professional and their set was excellent. Thank you and can't wait for our next party. Riot were absolutely brilliant!!! So happy me & my now husband booked them they really got everyone dancing & even let me join in with a few songs too. Vocals & talent were just amazing & had such great feedback whilst we were leaving the venue. I'd highly recommend to anyone getting married who loves to really rock & roll!! Best decision we made & they ended the night perfectly! Thank you! Maria & Keith Marshall. Riot! were absolutely fantastic and we are so glad we were able to have them for our wedding. We had so many of our guests asking how we found the band and how good they were. Ryan's acoustic version of Champagne Supernova was perfect for our first dance and he was great at getting everyone to join in. These guys are amazing - I'm trying to find an excuse to book them again for something! They create such a good vibe and we couldn't recommend them enough! Cheers guys!! Brilliant band, very talented! Very accommodating and professional! Would recommend them to others. Excellent band, played great songs. They were late but it didn't affect the evening. 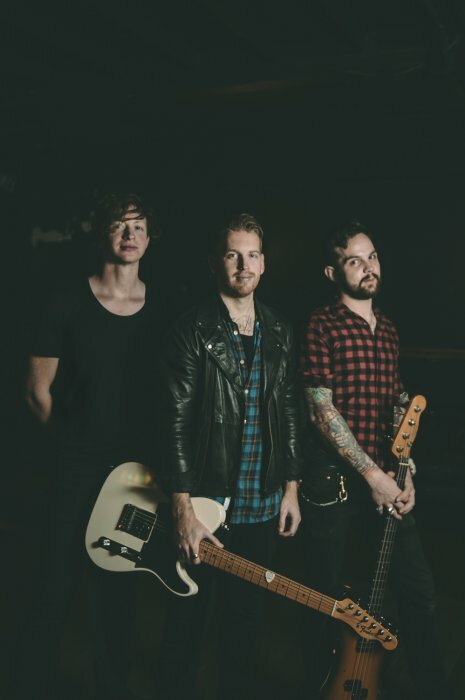 From beginning to end Warble Entertainmemt made the whole band process of my event incredibly easy, from finding RIOT! on your great, easy to use site to booking, confirming and then contact from RIOT! 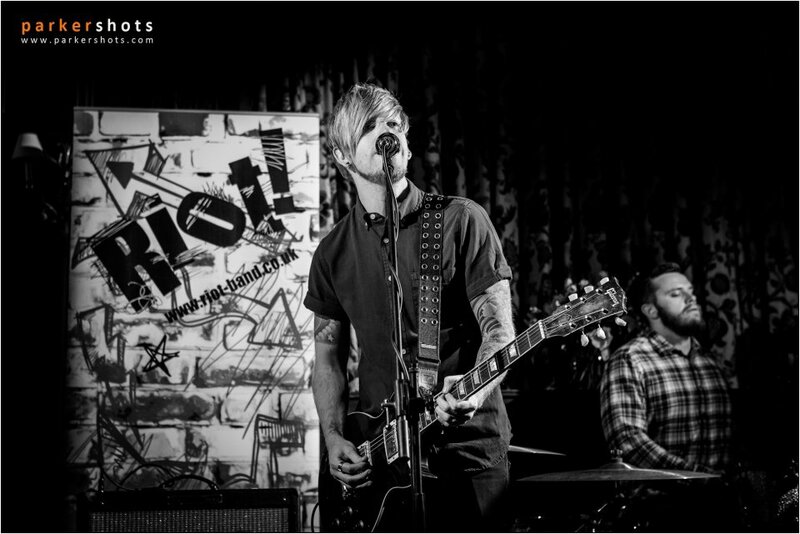 and then actually at my event, I will be highly recommending your company to anybody looking for a band. As for RIOT! 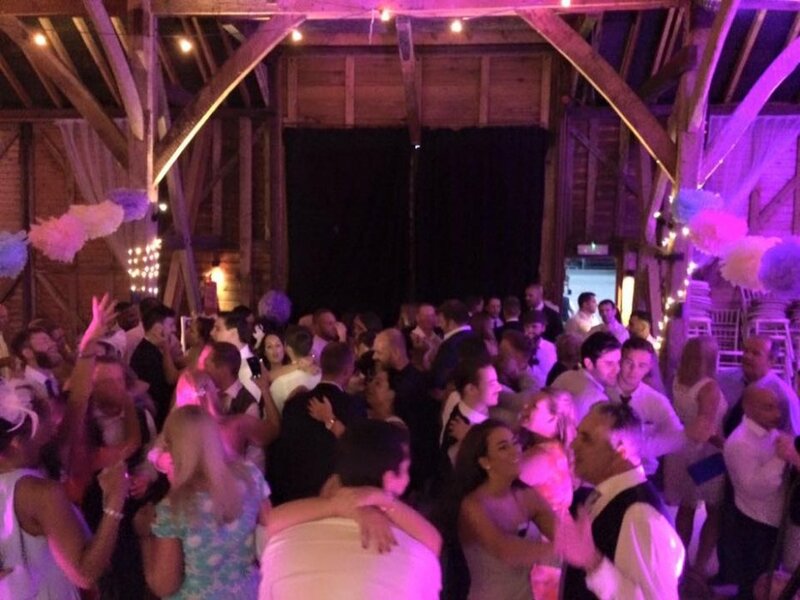 they made the night, they were extremely professional from start to finish, extremely polite and without a shadow of doubt the best band we have had at any of our events, all my guests absolutely loved them, they are an absolute credit to your company. Thank you very much for providing such an outstanding service, I am one very happy customer. Absolutely outstanding band! We cannot recommend Riot enough! We had an acoustic and full band sets. Both were perfect! All our guests commented on how amazing the music was, even when we requested some 'alternative' wedding songs... Enter Sandman went down a storm! 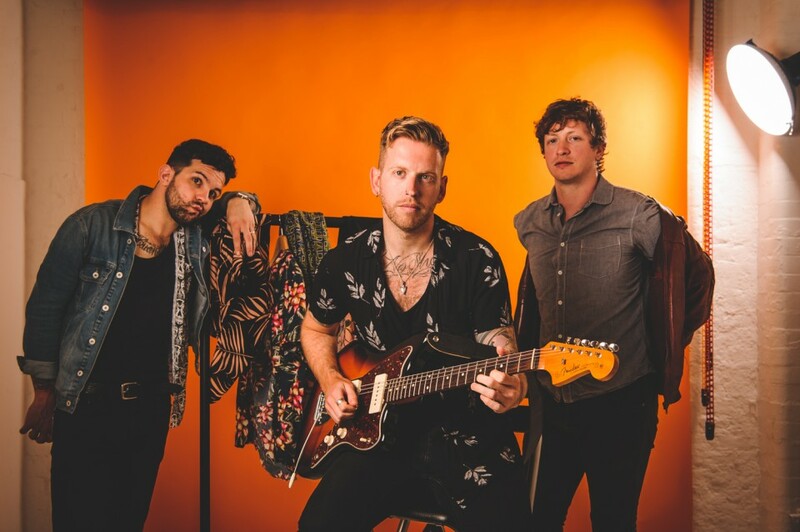 If you're looking for a band, look no further! These guys will make the day so special! Thanks guys, you made our day incredible! The band were fantastic. Would definitely recommend. The playlist was great and had everyone up dancing, everyone has since said what a great evening it was and how good the band was. 5 Stars- Thanks lads! Just wanted to say a MASSIVE thanks to the band for the event at Aruba last night. They were fabulous and everybody raved about them. It just made the evening so special. The band were amazing! We looked for ages to find the right band as it was important to us. They were great and so many people said how good they were. They learnt our first dance song for us and we really appreciated this. Ryan got in touch before the wedding and everything was in hand. They were running a little late on the day but got in touch with me to keep me updated. They set up super quickly and just arranged with the venue staff about where to go etc. They were great!!! Thank you!! The band were excellent and were much enjoyed by all our guests. Absolutely incredible band. They created such a lovely atmosphere for our wedding reception. They even learned our first dance song and it was perfect! They were early and very approachable. We were so glad we chose them to play at our wedding, they knew all the right songs to play to get people dancing. Every song was sang perfectly. Definitely will recommend them to anyone. All the people at our wedding reception commented on how amazing the band and the songs they played were. RIOT were fantastic!! So professional and obviously, the music was amazing. So many people commented how good they were and the fact that the dance floor was full all night spoke for itself... we loved it! They are an awesome band and Warble were great to deal with as well, I would highly recommend them. Thank you! Riot! were absolutely fantastic for our wedding! 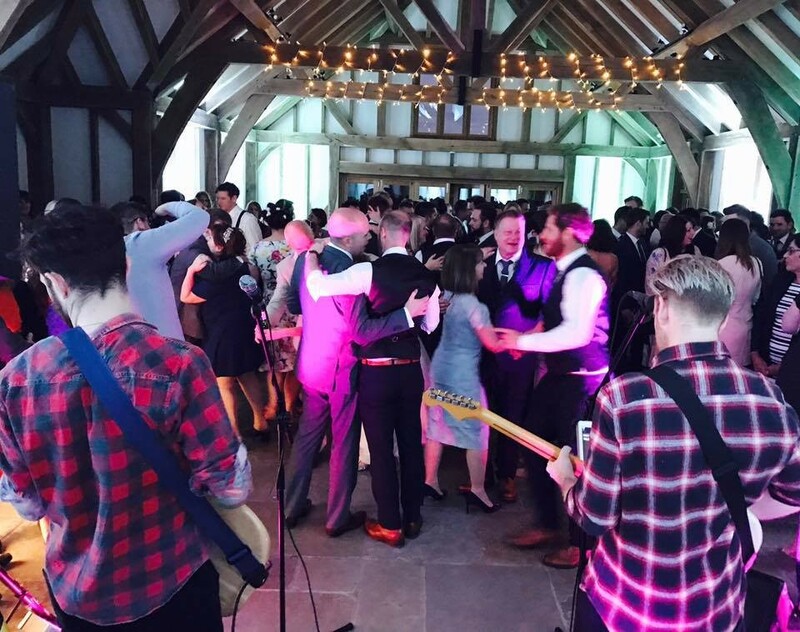 We're really into our punk rock and metal and alternative music and are always at gigs and festivals, so a 'normal' wedding band or DJ would not have suited our day at all. Ryan was really friendly by email and listened to our request for NO BEATLES and to include their 'rocky' songs for their 2 sets. The comments from all our guests were great and that they loved the band, and loved that the wedding ended with them playing a special request of Rage Against The Machine - with the bride leading a mosh and group chanting! Thanks for making our day so great. Excellent choice, the band were fantastic! Great band, they played brilliant songs that got everyone up on the dance floor. RIOT! were absolutely fantastic. 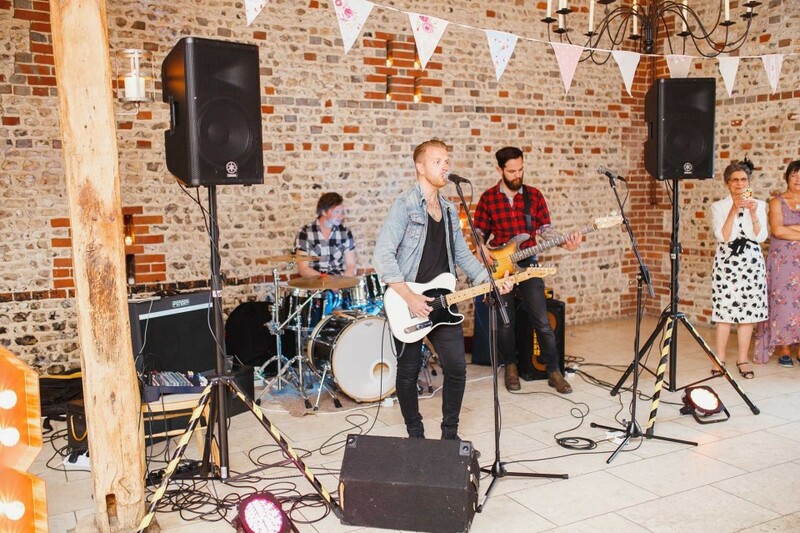 We have had endless comments about how good the band were and a number of people requesting their details so that they can secure them for their own wedding! A big thank you to Ryan and the rest of the gang. The band were fabulous - they were very professional, arriving and setting up efficiently. I had spent hours listening to clips of bands and looking through set lists. When the band started playing I knew that I had made the right choice. The set list was perfect, judged just right for the guests at the wedding. The band sounded amazing. Guests commented that they were definitely the best band at any wedding they had been to. Ryan was very helpful contacting us before the day, and also replied promptly when I contacted him after the day asking for a copy of the set list, which I very much appreciated. They were an absolute pleasure to have at our special day. Riot! were absolutely incredible!!! I have never seen so many people on the dance floor until the end of the night. The band were professional and really knew how to work the crowd! Totally amazing - Thank you so much!!!!! We will never forget! The band were excellent - everyone at my Birthday party loved them. They arrived as expected and could not have been more friendly and helpful. They performed a wide variety of music and tried to respond to special requests. I would love to hear them again. The booking process was easy and Warble were very easy to deal with. All in all, I'm a very satisfied customer. Riot were absolutely fantastic and helped ensure our wedding went with a bang! They were incredibly professional, sounded incredible and a lovely bunch of lads to boot. Our mixed crowd loved them and they kept everyone dancing with an excellent repertoire... the 'Killing in the Name' finale was particularly memorable! They were accommodating with requests in advance and I'd heartily recommend anyone to book them for their wedding or other event. Thanks again! RIOT! 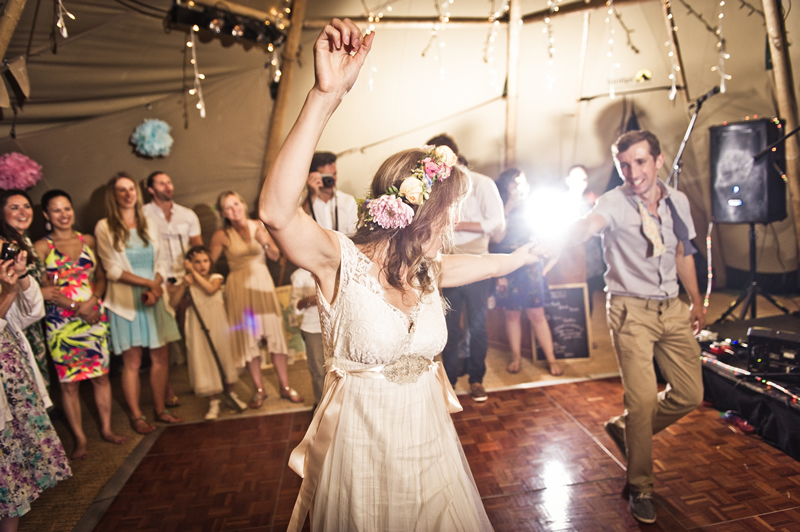 were the perfect choice for our Wedding celebrations, keeping the dance floor full from start to finish! The sound, choice and variety of set music was incredible. We have had amazing comments and feedback from our guests about the Band, so couldn't be happier. 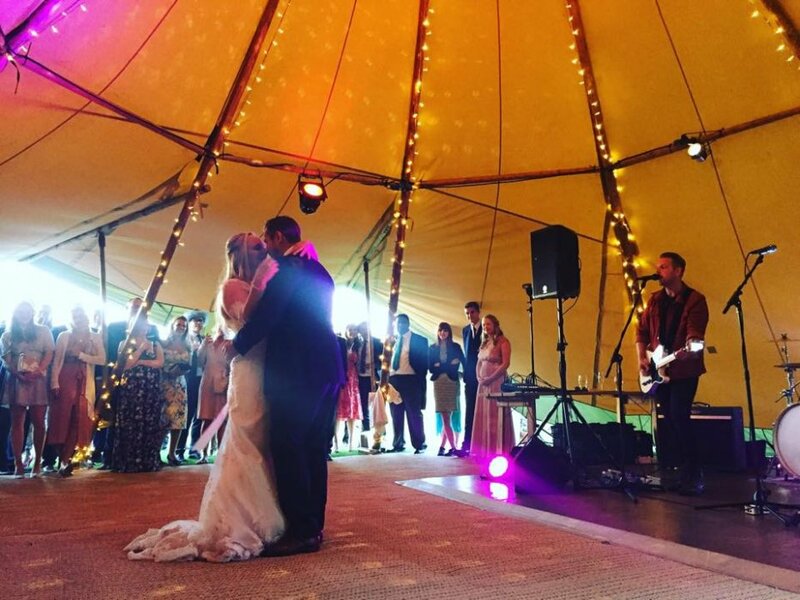 All of our dealings with the band, Warble Entertainment and in particular with Emily were quick, easy and seamless, you couldn't have made it easier for us. We highly recommend RIOT! and Warble Entertainment. Thank you for making our evening celebrations so memorable!! My (now) wife and I recently asked Riot to perform at our wedding. We can honestly say that you guys are absolutely fantastic. You did a really, really good job and we’re so elated that we chose you as our wedding band. For anyone thinking of using Riot for any occasion we really couldn't recommend them more for so many reasons so I’ll list just a few: They are three genuinely nice guys. They turned up on time, found us and introduced themselves so we had a chance to meet them before they started, they set up quickly and were ready to go. Their performance itself was brilliant (if you like their preview tracks you should definitely use them as they're even better live), we had numerous comments from our guests on how good they were, how well they performed and how engaging they are as a band. (We would quite happily pay to see them perform at a gig somewhere!). Also, their repertoire of songs are all really great choices. We chose them based on their rendition of 'Teenage Dirtbag' that we heard and loved (it was even better in person) they also performed an encore for us of a very well known song that worked perfectly, it really ended their performance on a high. Really can't recommend them enough, top class job, really good. Sincerely, thank you Riot! Rob & Rozee. Well, what can I say... the band were awesome. The dance floor was full from the moment they started playing. Very professional, and a great band. They played the perfect mixture of songs for my husband and I and we loved them! I was incredibly happy with my choice of band. They were friendly, well mannered, punctual and were amazing musicians. Great voices and loved most of what they played. Fab guys, great energy, awesome sound and wouldn't question booking then again in the future. Loved them!!! Absolutely fantastic night! Exceeded our expectations! At one point everyone was up dancing! 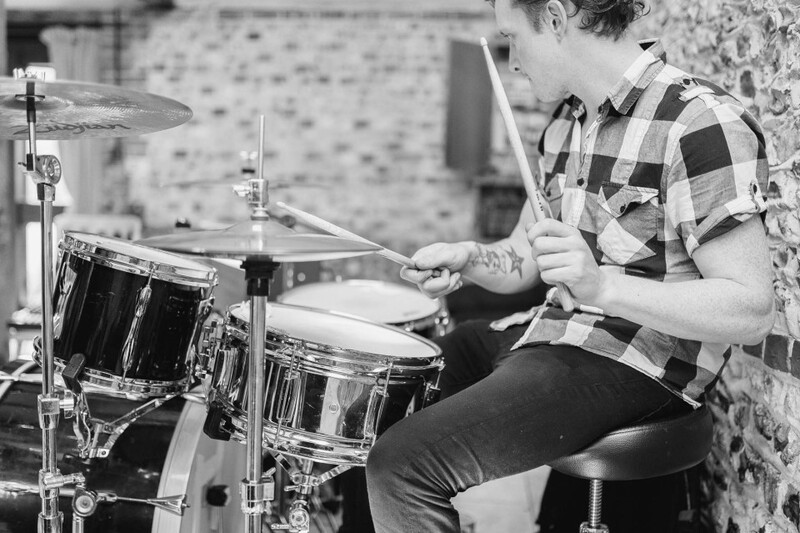 Easy booking process & band were quick to respond with regards to insurance for the venue. A few have said to me they will be booking the band in the future for a potential wedding & another 40th birthday. Hope they do as I will certainly be looking forward to it! Riot were brilliant at our wedding! We had so many people asking for their details throughout the night! They played a great range of songs! 'Don't Look Back in Anger' at the end of the night was an absolute highlight!! We had an absolutely brilliant night. The covers you included were exactly the type of thing we were after, not one song everyone didn't know. Thank you for making the wedding memorable! The guys from RIOT were superb! I had great feedback from all my guests and really pleased I booked them up. Thanks again - I highly recommend these guys. Gavin. Very professional during set-up and initial meet. Good music and got the crowd on their feet. Riot! We're fabulous. Many of our friends said how good they were. Thank you. The RIOT! guys were really friendly and helpful and played an amazing set all our guests loved them. We couldn't have chosen a better band for our wedding! We are so glad we chose RIOT! as our wedding band, they are great musicians and entertainers; they had people up and dancing right from the start. Even those sat on the side said how much they enjoyed listening to them. Our wedding was quite small and intimate with only 46 guests but the atmosphere the band created was amazing! We had the time of our lives and it was the perfect way to end our wedding day. Thank you so much! RIOT! were brilliant from start to finish. A great bunch of guys that are also excellent musicians. The acoustic session that guys played went down really well and the evening they had the whole party rocking. They really made it an excellent evening and we got a lot of compliments! Thank you so much! The band were amazing! They sang our first dance, which was lovely, then they really got the part started. All the guests were dancing and the atmosphere was unreal! Thank you so much! Brilliant guys! They undoubtedly made the evening for us and kept the dance floor full. We received amazing feedback from so many guests. They all thoroughly enjoyed the music and I'm sure there will be further bookings from us and some of our guests. Many, many thanks! Absolutely amazing, everyone danced all night long and we've had so many compliments on the band's performance. 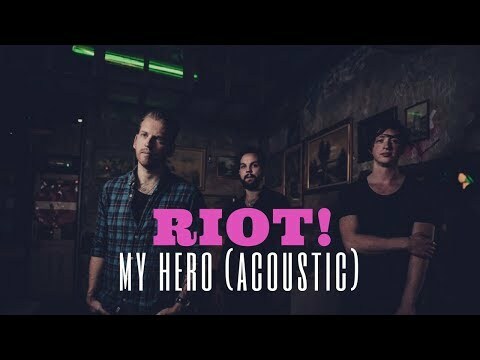 The acoustic song version we asked RIOT! to perform for out first dance was perfect and it was so great that the band joined in with guests for sparklers on the beach! We loved every minute, thank you! Brilliant, very good musicians. Nice blokes, very easy going. Amazing band, couldn't of done better! Everyone was up dancing all night (feet hurt) very very good, massively recommend this band. From initial booking and throughout, the company and especially Emily have been superb. Her constant attention to detail and any problems that were highlighted were discussed and remedied immediately. An extremely professional company and supplied a superb band and a thoroughly enjoyable evening was had by all. 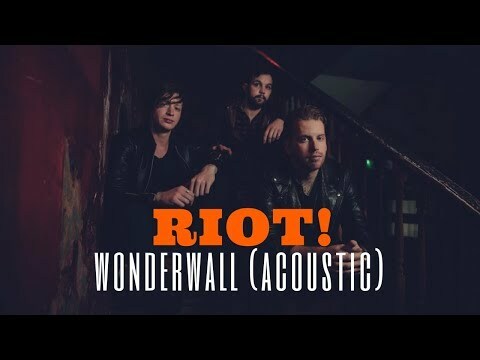 I would recommend Warble Entertainment and 'RIOT’ for future events and anyone that was interested in booking a function. Many thanks for all your help. They where brilliant and really know how to get the crowd going. Thank you. The band were awesome and met every expectation we had. Warble made the booking process so easy and were on hand to answer any questions we had. RIOT! were amazing! Upbeat music delivered by a class act! The dance floor was full all night and so many people commented on how they were so much more than your standard wedding band. 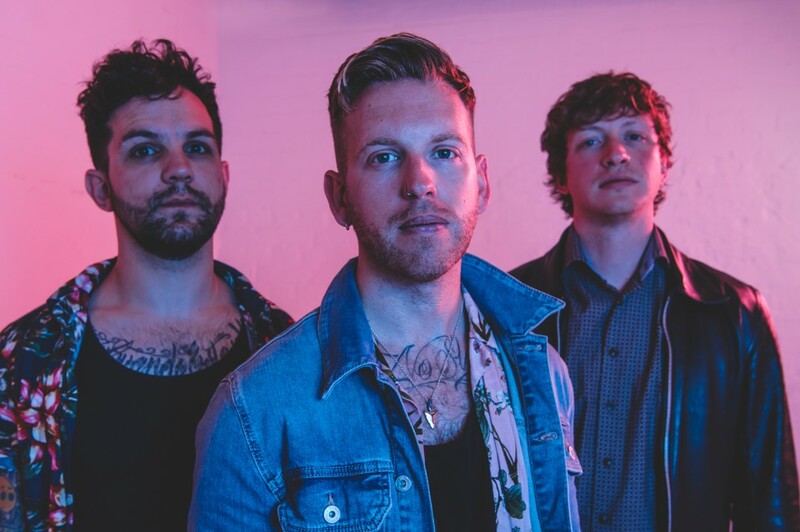 If you need a band to rock out with, look no further than RIOT! Really brilliant band and lovely guys, they were very flexible and made sure everything went how we wanted and absolutely brilliant musicians! Would highly recommend!! RIOT! were excellent - the band were punctual and the sets were absolutely brilliant. The dance floor was always full and the choice of songs were really well suited to the audience. Lots of people came up to us at the end and sent us messages the next day saying that they were the best wedding band they'd ever seen. Thanks so much to the guys for such a wonderful evening. Well where to start..! RIOT are simply amazing! Professional, helpful, accommodating and excellent musicians. They had us all on our feet all night (although my feet are regretting that now...) I would definitely recommend them to anyone wanting an unforgettable night and will be passing on their contact details to all my friends and family who now want to use them too! Thank you for making our wedding reception unforgettable! Outstanding, would book them again in a heart beat. Thanks you made our wedding night amazing. Amazing band, loved every second of it, great bunch of lads. They really made the night! Riot were amazing! 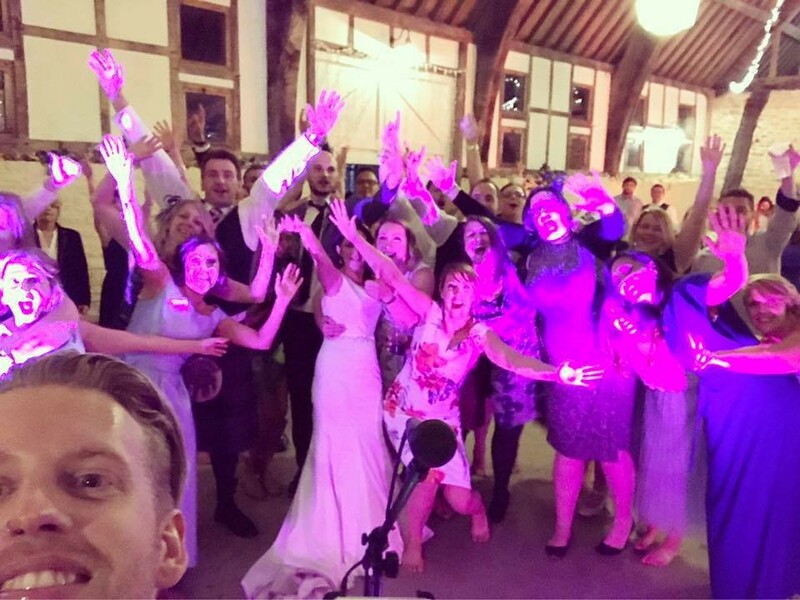 They rocked my party and everyone was blown away by the quality of singing and the amazing atmosphere they created! Above and beyond my expectations, absolute rock stars! Would highly recommend them! Thought they were a great band. Got everyone up and dancing and even played longer than anticipated. We couldn't have asked for more and would definitely recommend them to others. Thanks for making our day even more special. Thanks very much and also to Sam for being very helpful in organising everything. RIOT! were exceptional, we can not recommend the band enough. Not only was the quality of the performance as good as any band I have seen but RIOT! understand exactly the feel of the room and played song after song which hit the right spot. We must also thank RIOT! for putting so much effort into the performance; after the event we were made aware a band member was very unwell, a lesser band would have cancelled but RIOT! not only made the long journey but made our wedding the event we wanted it to be. Thank you very very much! What can I say? Absolutely incredible band!! I would have no hesitation in recommending Riot! for any event. They are an amazing group of guys who go out of their way to make the event memorable. I couldn't have picked a better band for our wedding - our guests are still talking about how brilliant they were! Everyone was up dancing and the range of music was superb. Ryan was so accommodating and managed to incorporate all of our favourite songs. Thank you for helping to make our wedding so fantastically memorable!! 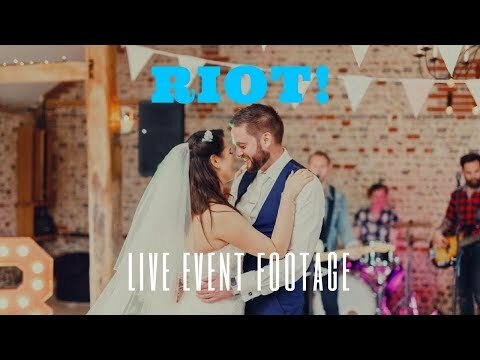 Riot were absolutely fantastic for our wedding, we could not have imagined a better band to have playing. Ryan was really helpful and accommodated our request for an acoustic version of a song for our first dance. They showed up on time, set up without any fuss and generally made things really easy for us. They had everyone up on the dance floor for both sets and there was great disappointment at the end of the night when they finished. They even very kindly did a few photos in our photobooth at the request of the bride (after I'd had quite a few drinks!). 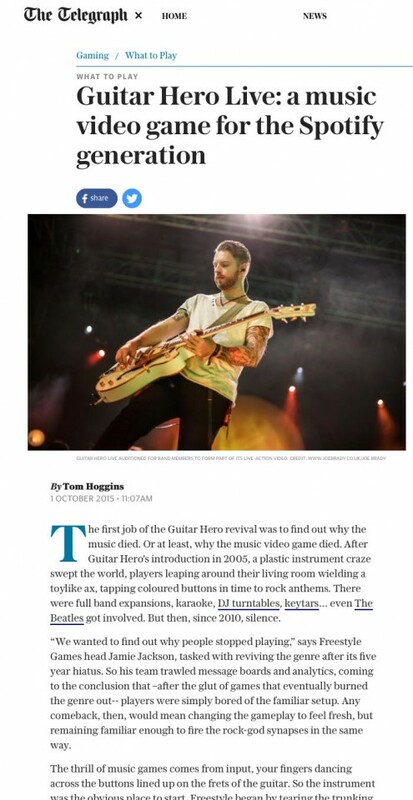 Our only regret is that we couldn't have them playing for longer on the night!!! Fantastic band that kept the whole wedding party entertained. Lively - playing RATM made our night too! Thank you! RIOT! exceeded all of our expectations. Such talented guys. Kept everyone dancing and singing along with great tracks performed flawlessly. I loved every second of their performance. Thank you guys, so much! The guys were utterly fantastic they couldn't do enough for us. I play in bands myself and was invited to play two songs with them and this made our evening even more special. Unbelievable! These guys really made our Wedding Day....... the dance floor was full all evening! Would recommend to anyone. RIOT were amazing, they were so professional and made our night one to remember! We really were over the moon at how good they were! Thanks. Band turned up promptly and were absolutely fantastic dealing with our requests (they played Rage Against the Machine at our wedding and it was incredible), as well as graciously doing an encore of Nirvana at the end. Everyone said how great the band was, and we were so impressed and pleased with our choice. Riot were absolutely amazing! We had guests dancing on the dance floor throughout the night and so many people said how much they enjoyed their sets. I would definitely recommend them for any event! What can I say, what a fantastic band Riot are! We absolutely loved having them there, and so many of our guests commented on how absolutely brilliant they were that I lost count. Truly fantastic, and would recommend them to anyone looking for a live band in a heartbeat. If we ever have another opportunity to book a live band for a night we would definitely use them again. Amazing choice of songs that got everyone up and dancing, and the dance floor was busy all night. Personal highlights for me include the floor bouncing to “Buck Rogersâ€ and the finale of “Living on a Prayerâ€, a family anthem and something that we will NEVER forget! Arrived on time, could not have been nicer, more friendly guys, and were so professional and just BRILLIANT from start to finish. RIOT! 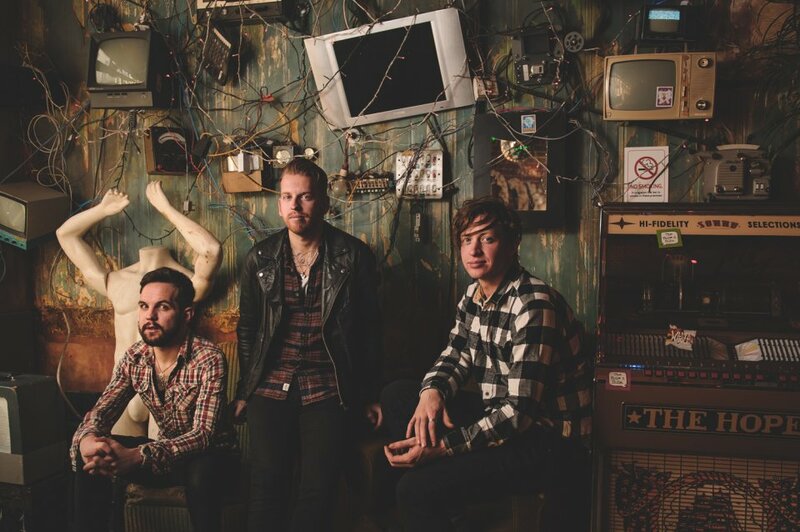 are an absolutely amazing band. They kept the dance floor filled all night and my husband and I did not stop dancing (even after they'd stopped playing!). I cant recommend this band more highly and we've had so much feedback about how great they were. I could guarantee that a party would go all night with RIOT! rocking and rolling, we were just sad they had to stop! Riot were absolutely fantastic and I would definitely recommend them. Really good bunch of guys as well. The guys played at our wedding several weeks ago, not only were they awesome musicians but really nice blokes too. They had everyone up and dancing, we enjoyed every minute of their gig. We would not hesitate to book them for another event and recommend them to anyone looking for a lively fun band. Riot were absolutely amazing couldn't have asked for anything better, my feet still hurt from dancing! Thanks guys I would recommend you to anyone! Thank you so much! Riot! were absolutely brilliant - really professional but at the same time very personable, relaxed, and above all fantastic musicians. They got everyone up on the dance floor both young and old and it felt like a proper gig, not your average cheesy wedding band. Couldn't have asked for anything more, top top marks, would book again and will certainly recommend! Cheers guys! The most amazing band!! We had guests who are in bands locally and even they said they were phenomenal! They got everyone up dancing, from teenager to grandparents. They performed with such great energy. All were really well presented for a wedding. Such a friendly group of guys. Contact prior to the event was fast and helpful. An amazing set list. They were an excellent way to end an already fantastic day. So many people commented on how good they were. I think they may have already have a few bookings from my wedding! Thank you guys. WE LOVED YOU!! Greats lads, great band. I would highly recommend them. Real pleasure to have RIOT! perform at our wedding. We have just come back from our honeymoon and have been catching up with friends and family who have been telling us how good they thought the band were. Highly recommended and made the evening to our wedding amazing. Please pass my thanks on to them and look forward to seeing them play again in the future. The bands selection of music was perfect as there was something to suit everyone! From the minute they started preforming to the end of the evening the dance floor was full! We thoroughly enjoyed RIOT! The band were GREAT! They arrived on time and set up quickly and without fuss. They were very polite and flexible re our needs, especially as their first set was delayed by our slow food service! From my viewpoint everyone LOVED it. RIOT! played at our wedding at Notley Abbey in May and were fantastic! They got everyone (aged 18-86!) on the dance floor and our guests all commented on how much they'd enjoyed it. 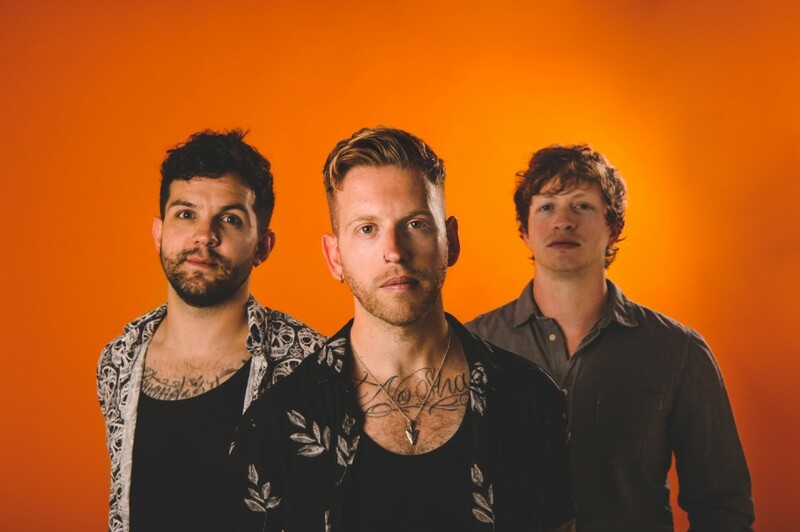 Warble entertainment were very efficient and replied to my emails almost immediately and the band were friendly and accommodating to deal with. I would thoroughly recommend Warble Entertainment and RIOT! to anyone looking for an energetic, fun and talented band to really get a party going. Thank you! Riot! did an amazing job at our wedding. They played excellently and had the whole place up and dancing. They nailed our first dance song! Really nice, professional guys that I really can't say enough good things about. Riot! your rock! What a great band. Loved RIOT! I booked them for my wedding at the end of April 2013 and they were great. I'm not one normally to leave feed back on these kind of things but had to for these lads. They played great songs and had a really good live sound. Great music set which had my dance floor packed from the 1st to the last song. A modern DJ set from the guys followed the live set which was really good. I got some excellent feed back from all of my guests, some of which are hoping to book the band for there own wedding. As for the guys themselves they were polite and happy to help in anyway, even let a friend of mine sing towards the end of the night (Mustang Sally). 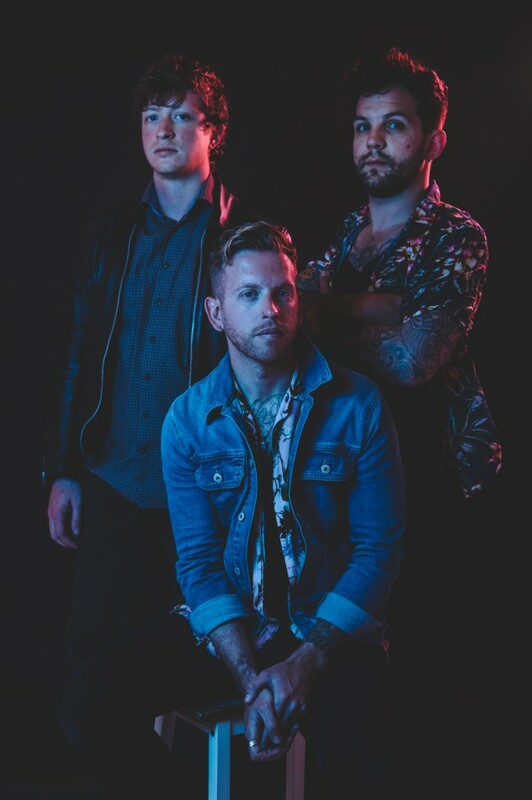 Great 3 piece band. Trust me book them you will not be Disappointed. Thanks lads. The Riot brought the room alive with the tunes coming and coming! Extremely talented individuals and we were very fortunate to have such great people play for us. I would highly recommend! Great musicians, band and really nice guys. Very obliging to our requests before hand and on the night to make our wedding reception a proper celebration. They had great energy and had all those able to, 'dancing’ through the night, a very impressive live band with a perfect repertoire of songs. I will definitely recommend them to anyone looking for a top notch celebration band to really give the night bang. The band was absolutely superb - punctual, polite and damn good musicians. When they played the dance floor was never empty. My thanks to the boys for contributing to an excellent night. RIOT! are incredible. We knew that we were going to be getting a professional band, but everyone was genuinely astonished at how good they are live. I wouldn't hesitate to recommend them to anyone. They were flexible, kind and charming and happily took on our requests and suggested playlists for the night. They were the best thing about our big birthday party and we were all very sorry to see them leave at the end of the night. You cannot buy their mix of talent and modesty. Awesome band. SUPERB! A friendly and professional bunch of lads who arrived in good time and set up promptly. Once underway, they really brought the party to life with an energetic mix of classic and contemporary tunes - an incredibly tight band who really know how to entertain a crowd. Stand out moments for us were seeing everyone from the age of 5 to 75 jumping around the dancefloor, and the on stage "boys vs girls" sing off. So many guests commented on how much they enjoyed the band and took away contact details for future bookings. Thank you Riot! for making the evening truly unforgettable! Amazing!! Absolutely loved the band and since the party I have had non-stop compliments about them from people at the party. Three really nice lads to go with fantastic music. They really made the party something special. I am now going to insist that the bar I drink in a lot has them playing soon! Many thanks for everything. Amazing band and everyone commented to me about how good they were, the guests really appreciated the great music. 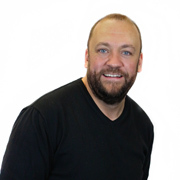 Booking through Warble was so easy and stress free, I'll definately use Warble again for other events. Squash party on 20th Oct - masses of feedback from people at the party that the band were great! Mostly guys as well... always the difficult ones to please, so a double plus!! Thanks very much - everyone had a great night. and the music / dancing made the evening. Fantastic, a great bunch of lads and great music. Will definitely be having them again! Thanks guys, you were absolutely fantastic and really made the party. I am now looking for an excuse to book you again, as are my friends! Band were first class. Their set list was absolutely ideal for the type of party we held. Trying to think of an excuse to book them for next week! RIOT were fantastic, not only did they have the talent to provide some amazing live music, but were extremely professional and had a great set up. They provided 2 live 60 minute sets for us, and had the dance floor packed for the entire time. We would highly recommend them for any lively event, and would book them again in a heart beat. A great band, good lads, with real talent. Best of luck to you RIOT, hope to be able to book you again. WOW - we are still in recovery from Saturday night as everyone had such an amazing time and RIOT were such a huge part of it. A big thank you to the RIOT boys for putting on an amazing set. We knew they were going to be good but not that good - all our friends and family from 2 to 72 years old loved them! It was so great to see everyone dancing and singing along to all our favourite songs, by the end of the evening no-one was sitting down. The band were so friendly and professional from start to finish and the whole experience from the initial enquiry and booking through Warble Entertainment to waving the boys off in the direction of the motorway at the end of the night was fantastic. Thank you RIOT for making my husband's 'Fiftyval party' such an awesome night - it will forever be an extra happy memory for all our family! 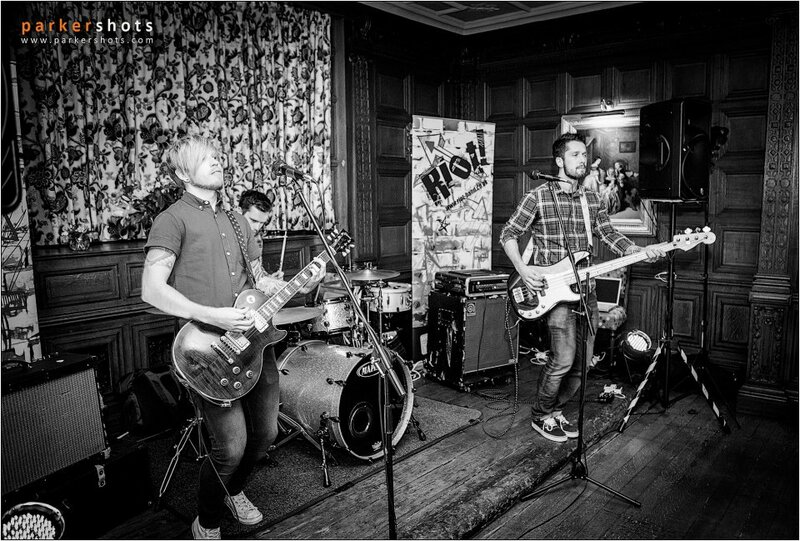 We would have no hesitation in recommending RIOT or Warble Entertainment to anyone - book them! Thanks for entertaining us last night - You were all great! The booking process was very easy and Jennie was brilliant in getting information to us. As for the band themselves... they were absolutely incredible! Such lovely guys and very professional. The music was amazing and everyone was on the dancefloor all night. We didn't want to leave!! I will be recommending you to everyone I know. Thank you so much!! Riot made my husband's 50th Birthday party an evening to remember! All the arrangements went smoothly and the band ensured the best sound quality for the venue. Everyone who was able to danced, from 10 yrs old to 67! The atmosphere was great and the music fantastic! They also compiled our request of music for a DJ set in-between the live music. Altogether a very professional group of musicians and heaps of compliments from our friends. 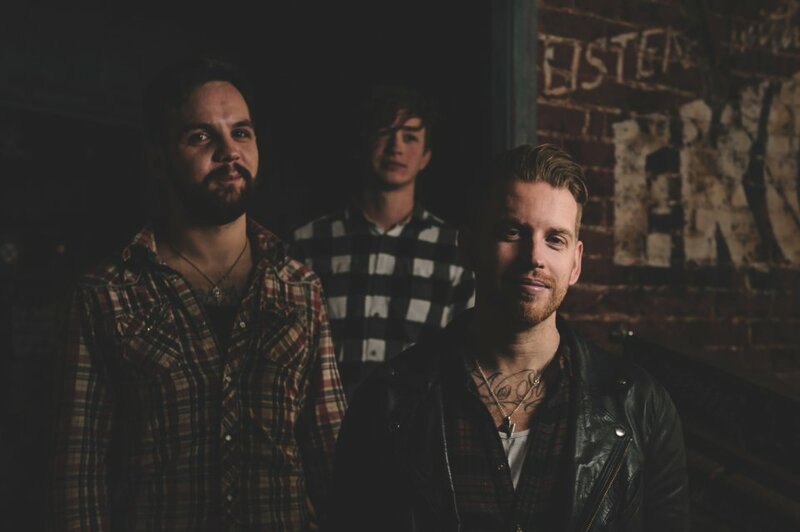 We would have no hesitation in recommending them for a super evening of music. Thank you from all the Scott family. 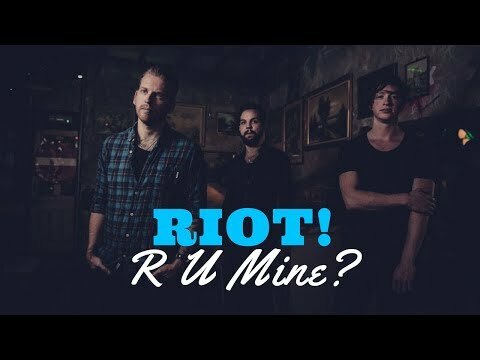 I have been playing in bands since I was 14 (far to old to mention my age now though) and I can honestly say that I have never seen a band like RIOT! I knew they were going to be good because the audio clips sounded superb, but to say that they don't even do them justice is saying something! The band turned up in good time, set up with no hassle and were really relaxed and understanding when things were overrunning. Professional to the last. When they started playing people piled onto the dancefloor and I can't remember a time for the rest of the night when it emptied! I think bar takings must have been down that night haha. Once again, thank you RIOT! for just being amazing and keeping me in the new wifes good books. As standard RIOT! perform 2 x 60 or 3 x 40 minute live sets. Because RIOT! 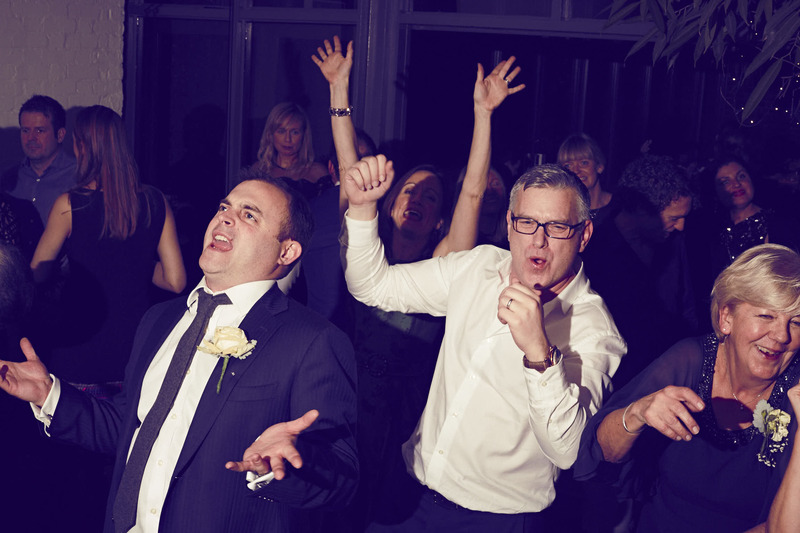 want you to have the whole nights entertainment sorted when you hire them, the band offers a FREE DJ option that runs when the band are not performing. Customers who have enquired for RIOT! 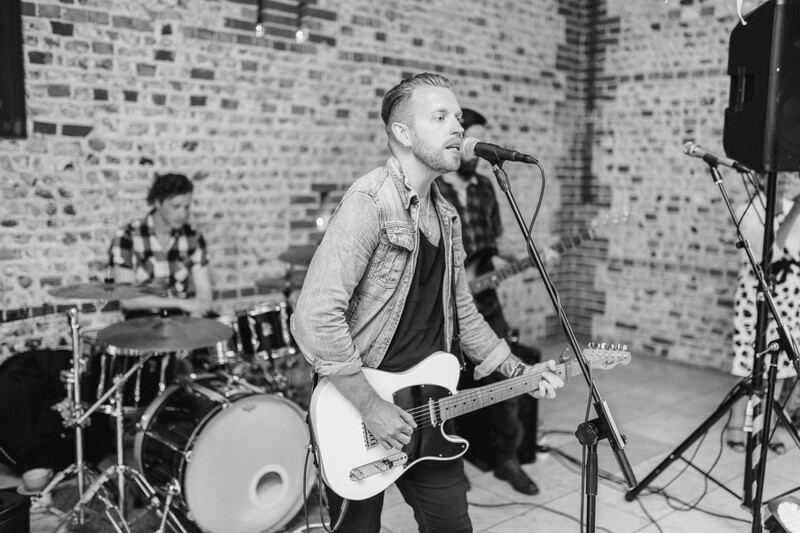 have also been interested in the following Rock Cover Bands for Functions who are also available in Sussex and cover the South East of England. For more information or further options, please call 0845 643 9384.